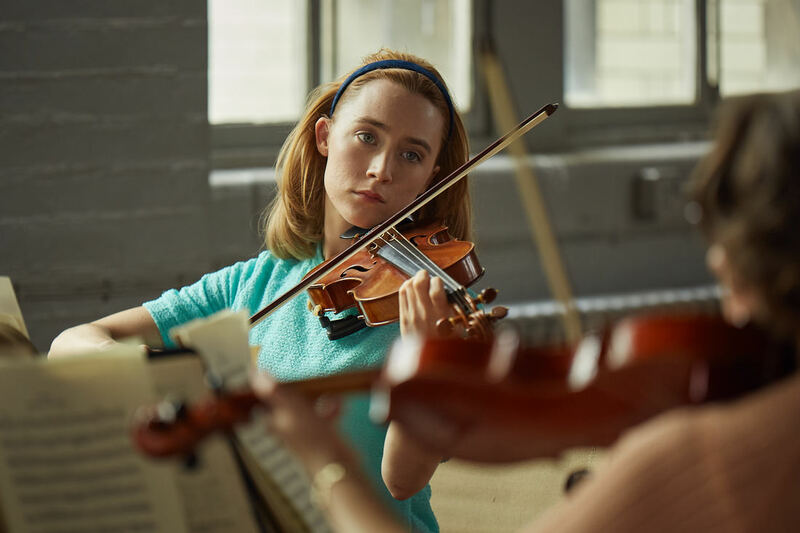 A movie review of ​ON CHESIL BEACH. Two movies written by Ian McEwen premiered at the same festival. They are almost polar opposites in terms of quality. THE CHILDREN ACT is one of the worst films of 2017. ON CHESIL BEACH one of my favourites. The latter is a heartbreaking examination of the disintegration of a marriage on its first day. A Proustian love story. Memories within memories. Lump-in-the-throat stuff. ​Romantic dramas and comedies are rarely so, because they largely stick to a groansome formula. As you watch, you can guess at the stories’ progression without breaking a sweat. Most of these flicks seem to suggest the hardest part of coupledom is meeting your soulmate. Notice how long term love is rarely looked at. Watching passion ebb away is perhaps not uplifting. Or is it? Having a film recognise the difficulties of maintaining a relationship might actually provide comfort. If you know everyone else is struggling, then the grass is greener scenarios playing out in minds might be assuaged. 1962, a young couple are on their honeymoon. It is a modest sojourn. Not the debt-crippling nuptial holidays of modern life. At this British seaside hotel, immediately after a wedding ceremony the audience is not invited to, Florence Ponting (Saoirse Ronan) and Edward Mayhew (Billy Howle) are chatting about music the way those on a first date might. Is this an arranged marriage? No, they are nervous. It is the swinging 60s, yet they are sexually inexperienced and have not yet made love. Is this meant to surprise the cinemagoer who has access to their wildest fantasies via their mobile phones? ON CHESIL BEACH is about naivety, and corruption of that innocence. As they settle down to their first meal as wife and husband, we see the little cringe-making behaviour and minor embarrassments that are signposts for the larger awkwardness and troubling humiliations to be revealed. As they eat, we jump back in time to their courtship. Before the end of the day, the film will move through time wringing our emotions. ON CHESIL BEACH touches on class, disability and abuse, and combines them into an upsetting portrait. The last shot is an absolute doozy.